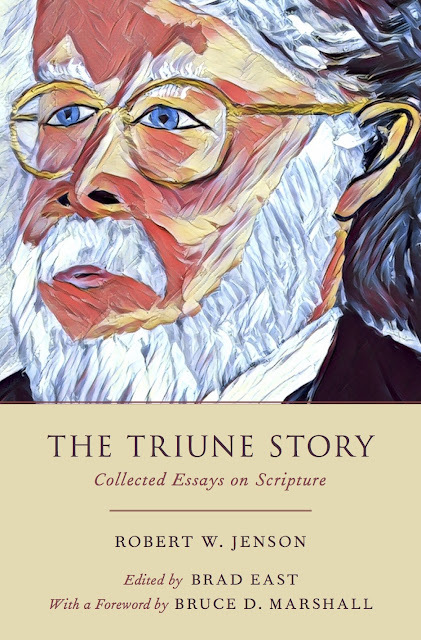 I couldn't be more pleased to share the following four blurbs for The Triune Story: Essays on Scripture, the volume of the late Robert Jenson's writings on the Bible that I am editing for Oxford University Press. Due later this summer, pre-order your copy today! 1. I initially called it his Border Trilogy, but then I remembered that name's already taken. 2. What Winslow has done in these books is impressive, in literary terms, and powerful, in terms of educating the reading public while also entertaining them. Little did he know when he began writing the first book nearly 20 years ago how relevant, and prescient, the topic of the drug war and its ever-widening social, moral, and political consequences would be. 3. Winslow is a gifted writer. His prose is propulsive, soaked in adrenaline and masculine energy, in all its creative and destructive forms. His control of tone, voice, character, cultural reference (popular and "high"), and biblical allusion is masterful. The complexity of his plots, the centripetal force drawing their far-flung lines of action to some center or centers of encounter and explosion (often literal), is enthralling. The man was born to do this.